Plot - A romantic comedy about young Princess Elizabeth and Princess Margaret when they sneak out of Buckingham Palace to enjoy the VE Day celebrations as World War 2 comes to an end. Against the Queen’s wish, both Elizabeth and Margaret plead the King to let them be part of the VE Day celebrations as England emerges victorious in World War 2. The two, along with their chaperones, travel London and meet ordinary people. After realizing it is not as fun, they slip away from their chaperones and meet two guys who show them the real London at night– the world of nightclubs, gambling and brothel. 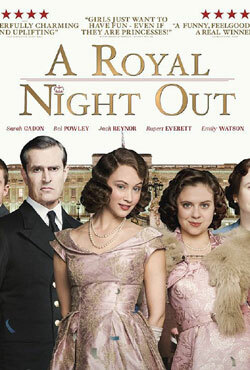 Awards & Nominations Won by "A Royal Night Out Movie"
Box Office Earning of "A Royal Night Out"